This page shows the latest falsified medicines news and features for those working in and with pharma, biotech and healthcare. Is the introduction of the Falsified Medicines Directive enough? 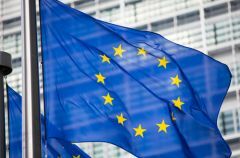 With the introduction of the Falsified Medicines Directive (FMD), the EU has become a world leader in the fight against the growing ... threat of falsified medicines. Perry set up the European Generic medicines Association (EGA) in the early days of the generics industry. ... He predicts that one of the biggest challenges in the future will be the Falsified Medicines Directive. Aegate operates a highly secure authentication and traceability service for the pharmaceutical industry, addressing the need to protect patients from counterfeit, recalled or expired medicines. ... Legislation for falsified medicines.